If I Puree Raw Vegetables Will That Destroy the Fiber? 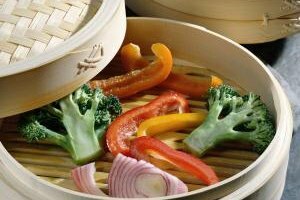 Raw or lightly cooked vegetables maintain more vitamins. 4 If I Puree Raw Vegetables Will That Destroy the Fiber? Parents often struggle to get their families to eat enough vegetables. When it comes to vegetables, though, good nutrition takes into account the quality of the vegetable as well as the quantity your family eats. How you cook vegetables affects their nutritional value, particularly when it comes to vitamins and minerals. Cooking destroys some of the nutritional value of raw vegetables. The best way to serve vegetables is raw, so you don't need to argue with your toddler when she tells you she wants to eat raw carrot sticks with creamy dip for her vegetable instead of the boiled carrots. Realistically though, you need to cook vegetables for some recipes. Certain cooking methods preserve more vitamin content than others. The best way to cook vegetables is as little as possible and without soaking or boiling them in liquid. 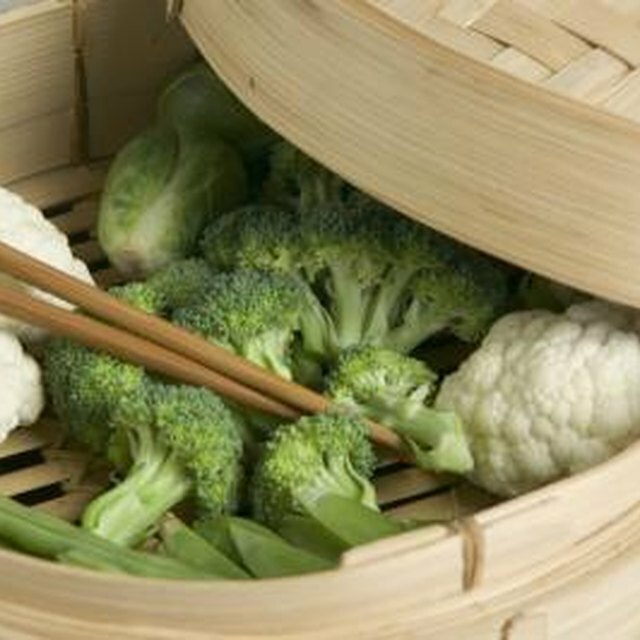 Steaming or stir-frying the vegetables lightly cooks them without destroying much of the vitamin content. Cook the vegetables until they have just begun to turn tender and no longer, or you risk reducing their nutritional value. The worst culprit for vitamin loss in vegetables is boiling them or simmering them in a liquid. The liquid absorbs the vitamins. In certain preparations, boiling the vegetables is acceptable, such for vegetable soup, where you consume the cooking water along with the vegetables. Roasting or baking vegetables until they are soft also destroys the vitamin content, so pair your next Sunday roast with a heaping side of steamed vegetables tossed in creamy dressing instead of soft roasted vegetables. To prevent vitamin loss, cut vegetables in larger pieces before you cook them and cook them as close to the serving time as possible. Leave skins on to hold in the vitamin goodness. If you have a toddler eating with you, puree or dice her vegetables after you cook them rather than cooking them to mush. This ensures that she benefits from as many vitamins as possible, while still making each piece small or soft enough for her to eat safely. Is There a Loss of Nutritional Value in Frozen Blueberries? Can I Freeze Cubed Root Vegetables? Is Freshly Squeezed Vegetable Juice Good for Children?